Play California Golden Bears +19. We are seeing a huge overreaction here. Arizona is coming in off a huge road 63-57 road win at Utah, which secured the Pac-12 regular season title and it’s only human nature for the Wildcats to suffer a letdown after such a big win, especially against an opponent they dominated by 23-points earlier in the season. Cal will come to play and I look for them to have no problem keeping this within the massive number set for this contest. 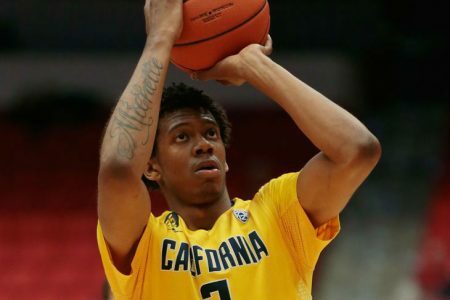 Golden Bears are a strong 15-3 ATS after 15+ games against teams who are holding opponents to 64 points or less per game. Roll the Golden Bears +19! HITTING 60% OVER L94 PLAYS OVERALL (63% L43 CBB)! Brandon Lee has his eyes set on a 3-0 SWEEP on the college hardwood Thursday and is making sure his clients unleash their bankrolls. Get in on the action with LEE’S CBB 3 PLAY *POWER PACK* This includes his strongest play of the day in his 50-STAR NCAAB *AAC GAME OF THE MONTH*, but it doesn’t end there! You will also receive both his 40-STAR Ohio Valley *BOOKIE CRUSHER* & 40-STAR NCAAB *UNDERDOG SMASH* all for the low price of $45.00. You are GUARANTEED A WINNING PACKAGE or Lee will give you Friday’s CBB action at no cost!